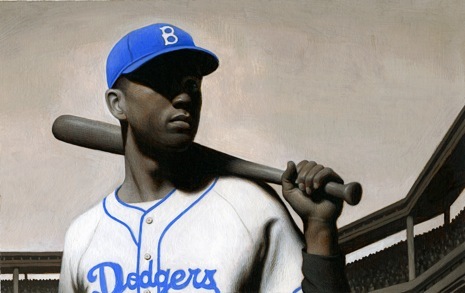 The April issue of The New Yorker featured a film review of the biopic of Jackie Robinson's life, "42". Thomas Ehretsmann was asked to illustrate actor Chadwick Boseman portraying Robinson for the article. After seeing the article and accompanying illustration, the film's writer and director, Brian Helgeland, purchased the art for the actor. It's always an honor to have the art in the hands of the subject.